John is another of my Rohilla colleagues, alhough his connection rather more direct than mine. John's grandfather Thomas Cummins, was the mechanic onboard the the Tynemouth motor lifeboat "Henry Vernon" which made its way down the east coast to rescue the remaining fifty survivors stranded onbaord the wrecked Rohilla. I have known John for a number of years who like me was interested in the sponsor an oar scheme early on. 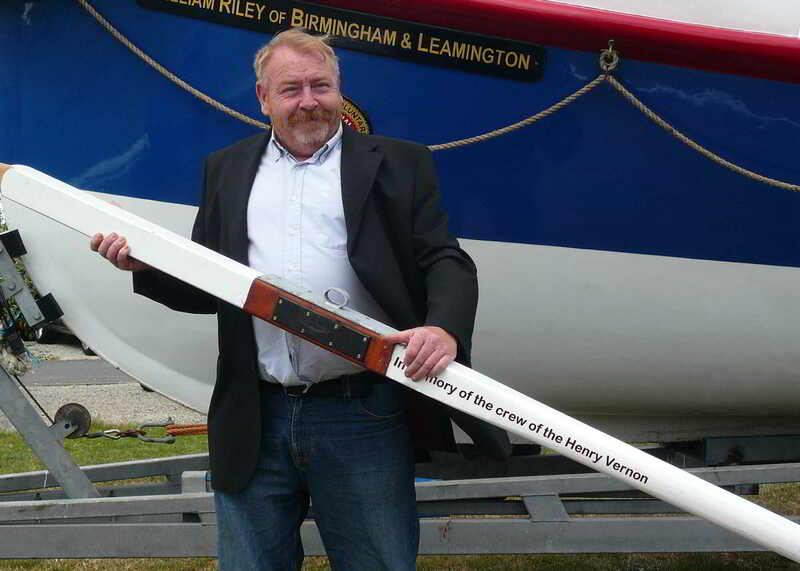 When we received notification that the oars were completed and that an event was being planned to bring the sponsors together we contacted John and were disapointed to learn he had not heard from the trust. When he did he was told that the oar bearing his dedication was one of the two oars still to be finished. As a mark of respect of our mutual friendship I gave one of the oars a little work in a photo editing package until such time as the right oar is finally completed.